It’s been exactly one year since I launched my first boot camp on Jenny Clarinet! 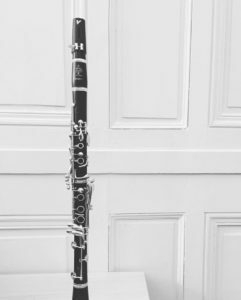 After the success of my Baermann Boot Camp from last October, I made my Kroepsch Boot Camp this past summer, and I even created a year-long boot camp for all you hard-core clarinetists out there! This time around, we’ll be tackling the notoriously difficult 48 Studies by Alfred Uhl. Treacherously technical and tonically tedious, these studies will be completed over the course of two months, focusing on one etude a day. I’ve never worked on the Uhl studies before, and a lot of my readers told me that they were planning to start working on them, so it looks like now’s a good a time as ever to get started! The Uhl Boot Camp officially starts on October 1, so make sure to order the music if you don’t own it already. If you follow my routine, you will have practiced all 48 studies in two months! The goal of the Uhl Boot Camp is to make it through every study by the end of November. Because you will only have 1-2 days for each etude, this is meant to serve as an introductory course of these studies. These are wonderfully complex and musically rich pieces, so feel free to bookmark and revisit your favorites after the boot camp is over for further practicing. Although this boot camp is a 2-month commitment, each day will only take about 10-15 minutes to read through and work on each piece. Mistakes will probably abound, and the goal is not technical perfection but rather a sufficient introduction to each piece. Like any boot camp, some days are more difficult and may take longer. Be patient and take plenty of breaks! As with all my boot camps, feel free to adapt this to your practice routine to achieve maximum musical reward and enjoyment. To keep boot camp morale high, this is intended as an interactive challenge. Share with your clarinet friends and pledge to complete the boot camp together. You can even use the hashtag #uhlbootcamp to connect with other clarinetists and show your progress on social media. Make sure to like Jenny Clarinet and follow the Uhl Boot Camp event page on Facebook, where clarinetists from around the world will be sharing advice, videos, feedback, and encouragement throughout the month! Alfred Uhl was a composer (he wrote the music for over twenty films) and professor of music theory at the University of Music and Performing Arts in Vienna. Naoko Kotaniguchi, principal clarinet with the Kyoto Symphony, recorded all 48 of his clarinet etudes for an ALM CD in 2014 (ALM Records–ALCO-3102.3103) that is available mainly in Japan. She plays them on her “Ideal G” model Yamaha, similar to the CSG but intended for the Japanese market. Most of the etudes on that CD make very pleasant listening; the arpeggios come across almost like harp music. Clarinetists can be proud that Uhl wrote the etudes himself expressly for the clarinet. The famous C. Rose studies, in contrast, were compiled by Rose from pieces originally written by a wide range of various composers for violin, oboe and other instruments. For inspiration, a recording of each etude can be found on YouTube as well (albeit with an annoying musical jingle at the beginning of each one). I loved playing book 1 as a student back in the day. Never got around to finishing book 2 when I still had the time. To my ears, these bridge the gap nicely between the harmonically moderate world of Klosé, Kroepsch et al, and on the other hand something like the Jettel etudes. Hi Hans, Thanks for sharing the YouTube recordings! I’ll be sure to listen to these as I complete the boot camp. They certainly are a unique tonal language, and I’m looking forward to reading through them all. Some of Ms. Naoko Kotaniguchi’s performances of the Uhl 48 are also on YouTube, including etudes 1, 7, 12, 14,36, 38, and 40. Thank you! I’ll definitely check these out!